NIPC Inventors Club: "I have yet to see a Confidentiality Agreement that is not flawed"
"I have yet to see a Confidentiality Agreement that is not flawed"
One lesson that seems to have been drilled into the consciousness of almost every single inventor is the imperative of getting a confidentiality agreement. I have even been asked whether inventors should get their lawyers and patent agents to sign these things. Now in a sense this concern for confidentiality is a good thing. An invention is patentable only if it is new. By definition an invention cannot be new if everyone knows or can find out about it. Patents have been lost because inventors have disclosed them prematurely to the public. For instance, in Boston Scientific Ltd and another v Palmaz and another  EWCA Civ 83 (20 March 2000) the inventor gave a short presentation of 5 to 10 minutes (perhaps 8 minutes) to about 40 members of the Radiological Society of North America at which he showed a series of slides including some drawings. There was no written record of the presentation and the inventor denied that he had disclosed his invention but the court took the view that he had. It followed that the patent was invalid for want of novelty as a result of that presentation. What is often forgotten however is that it is not any old disclosure that invalidates a patent. It has to be an enabling disclosure. An enabling disclosure is one that teaches a skilled person enough to make the invention so that it is no longer new or at least enough for him or her to deduce the invention so that it is obvious. In his talk to the Leeds Inventors Club on 15 March 2006, Dr Barry Stoddart of Procter & Gamble showed how insisting on confidentiality is often unnecessary and can sometimes destroy business opportunities. What a potential customer, partner or investor needs to know is not how an invention works but what it will do. Had the inventor of the wheel told the clerk of works at Stonehenge that he had a world beating invention but he wouldn't say a word about it unless he signed a confidentiality agreement the inventor would have been given very short shrift. If, instead, the inventor had said: "What I have is an invention which will make it much faster and much easier for you to transport stones from one point to another. Are you interested?" The likelihood is that the clerk of works would have replied: "You bet I am interested." There would have been evaluations and a licensing deal. Companies like Procter & Gamble have large numbers of employees working on all sorts of new products and services all over the world. The problem of confidentiality agreements is that they have to be honoured. Typically, they have to be honoured for years. Where the inventor has hit upon something upon which Procter & Gamble are already working they are embarrassed. The message from Barry's talk was that inventors have to be commercially minded. There is no point in having an invention that is technically brilliant but has no consumer appeal. What P& G need to know is does the invention have such appeal and what is that appeal? In the course of his talk Barry said that he had never seen a completely satisfactory confidentiality agreement. Hence the headline to this post. That is because different confidential relationships need to be governed by different sets of promises. 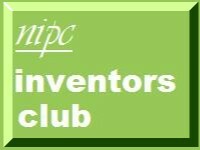 The other memorable thing he said in answer to a question from me is that P&G trust inventors' clubs. They know the people behind the clubs and trust them. I can attest to that. I introduced to Barry one of the chaps who attended the IP workshop that I give in the Huddersfield Media Centre on the last Friday of every month. Barry liked his invention and put in train a chain of events that led to his getting a licence from P & G.